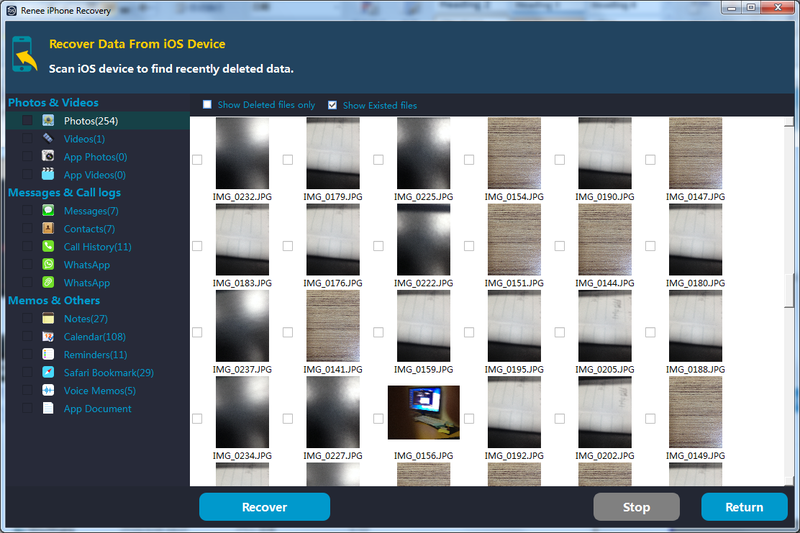 When deleting photos, videos, contacts, music, notes or message on iPhone, it is essential to recover them immediately. 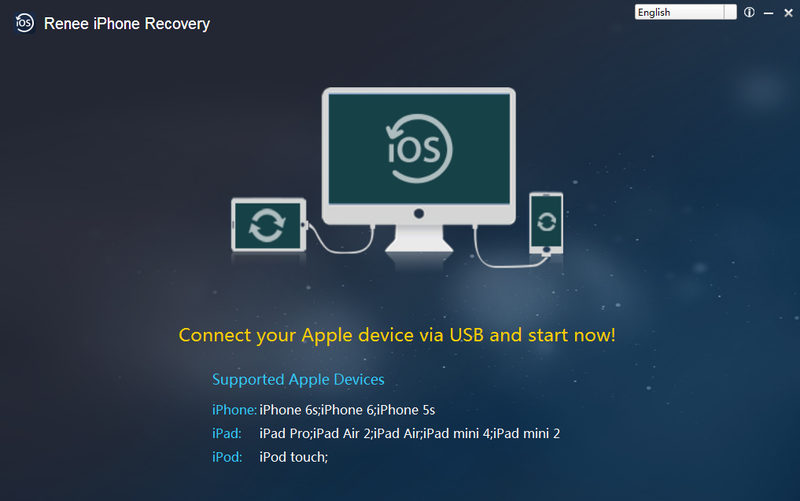 Renee iPhone Recovery provides 3 different methods to recover lost data from iPhone with high success rate: recover data from iPhone, iTunes backup or even iCloud backup. 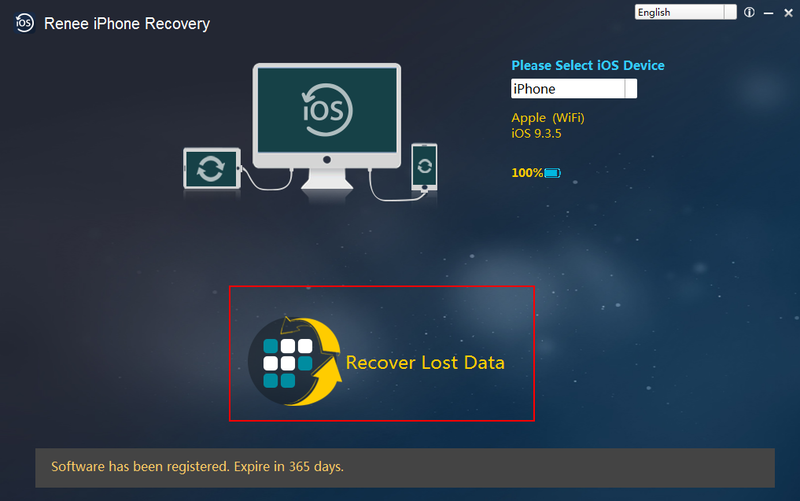 This tutorial tells more about how to recover lost iPhone data with a few steps. To prevent data lost, some people will make backup and update it for iPhone randomly. But not every time we can update the backup in time before we lost the data due to different reasons. So, if some of these data are important to us, is there any methods to recover them back? 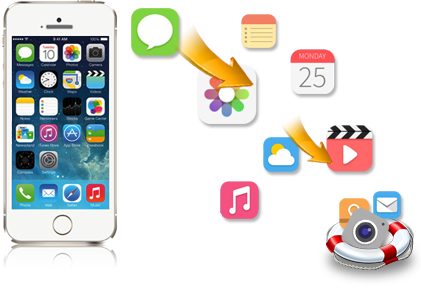 Fortunately, a professional iPhone data recovery tool – Renee iPhone Recovery is specially designed for this data lost situation. It can help you find these data in minutes. 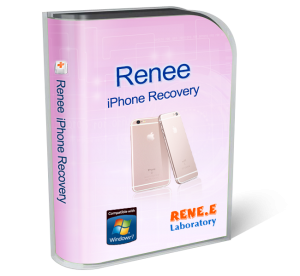 Get the free version of Renee iPhone Recovery now! *Compatible with iPhone 5s/6/6S/7 series. Then you need to choose which way you want to recover your deleted data. 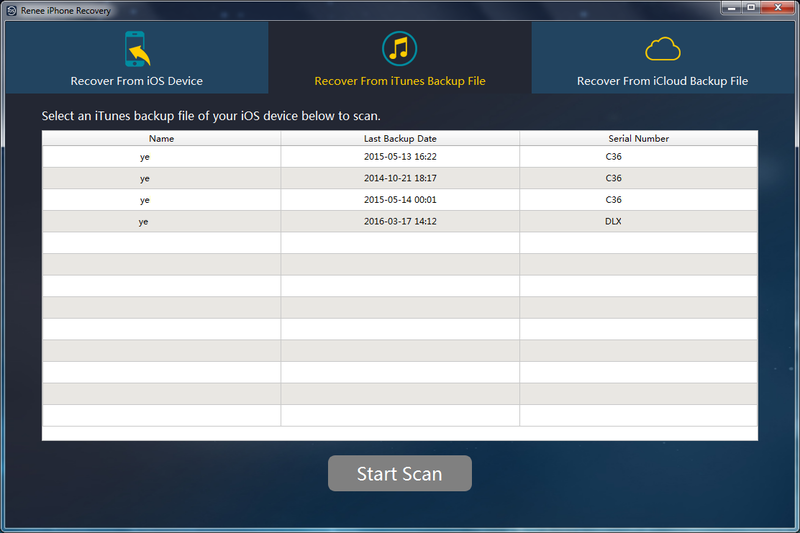 3 ways are available: from your iPhone, iTunes backup and iCloud backup. 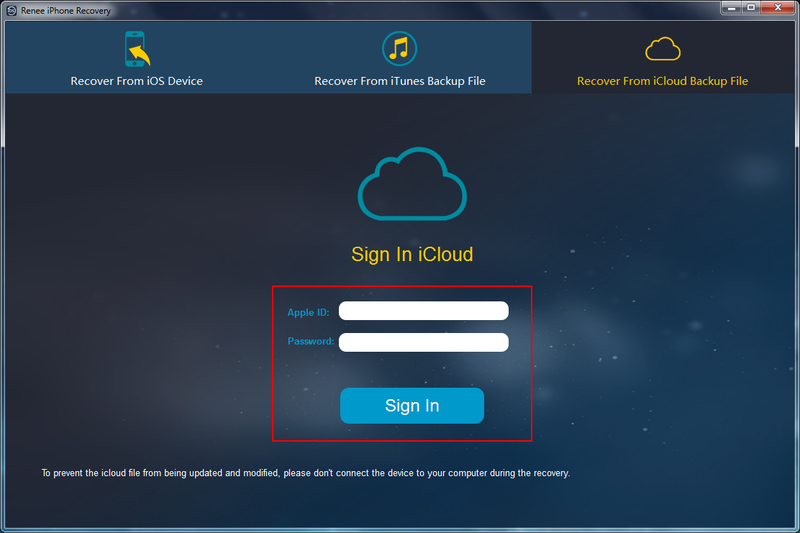 If you want to recover the lost data from iCloud, please log in your Apple ID in this page and Renee iPhone Recovery will download the backup files for you. Data lost on iPhone is not so terrible as you believe. 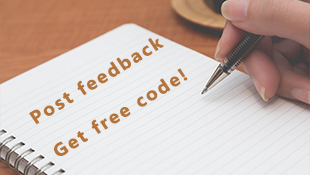 Actions taking in time can recover the lost data successfully! 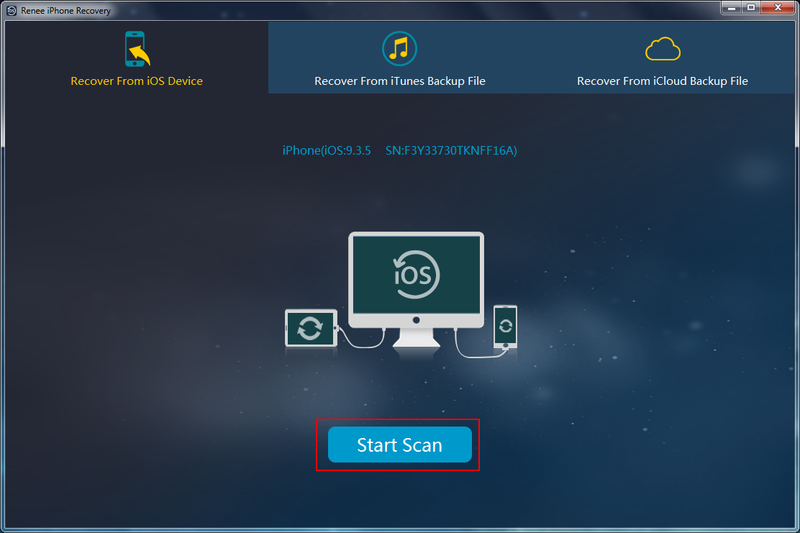 Try Renee iPhone Recovery which can help you find them back without damage.